The New York City Police Department will be getting rid of the 36,000 Windows 8.1 phones it currently has and will replace them with iPhones by the end of the year. The move comes only two years after the department purchased the devices through the NYPD Mobility Initiative. Said initiative's goal is to modernize the NYPD with a budget of $160 million to upgrade the precinct’s technology (including cell phones). The last of the purchased Windows phones were only issued to officers a few months ago.The decision comes after Microsoft announced that it would no longer support Windows 8.1 smartphones. 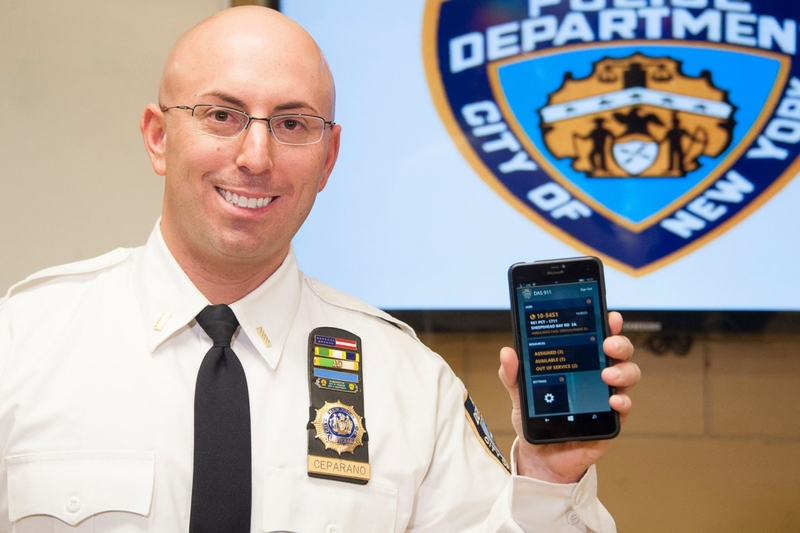 The devices also had several apps specially made for the NYPD. Presumably, the apps will have to be rewritten for iOS. Department heads have already decided to switch over to iPhones instead. The New York Post stated that the plan to go with Windows phones in the first place had tech experts perplexed. Considering the minuscule 2.3 percent market share Microsoft holds in the cell phone industry, the decision seemed ill-advised. Sources within the NYPD said Deputy Commissioner for Information Technology Jessica Tisch was the sole person behind the decision. Tisch reportedly went with Windows phones partly because the department was already using a Windows-based video surveillance system at its Security Initiative Command Center in Lower Manhattan. The department has not said whether it would be moving to the new iPhone 8 or if it would opt for the less expensive iPhone 7. The newest flagship phone is expected to launch in September for around $1,000. If the Deputy Commissioner decides to go with the newer model, the cost will eat up another $36 million of the Mobility Initiative’s budget. There is also the expense of re-engineering apps to consider. There are nearly a dozen custom applications that the NYPD uses on the current Windows-based phones. Officers can receive alerts, search police databases, file reports and log into the 911 system to check dispatches in real-time. The department is looking to discuss the matter further when the Deputy Commissioner returns from vacation next week.